Do we know where the epicenter of this snowfall is going to be? ICON says west, GEM says south, UKMO, FV3 and JMA are more east, ECM south west and GFS goes north, east, then south. @Griggs, this is out to +240 on GFS 12z. Obviously treat with a bit of a pinch of salt at this stage. In comparison here is ECM 12z sitting a bit further south. Thank you for the heads up - watching this with interest as off to Les Arcs on Sunday ! GFS 00z out to +240 has an eastern focus this morning. 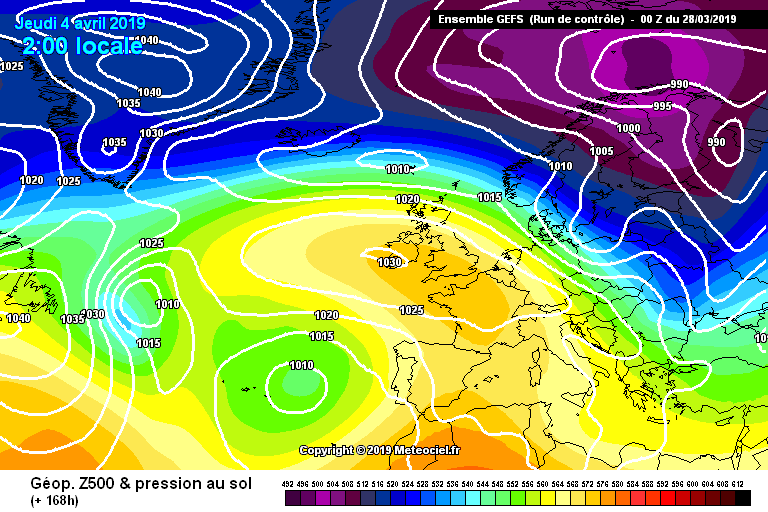 ECM meanwhile would have it focussed much more to the south and west. Which just goes to show that there is some way yet still to go before there is much clarity. The 6z appears to have backed off the snowfall hugely, still time for a comeback I guess! Isn't it the last option "Schneefallgrenze,Schneedecke"? Locals in obergurgl are confident of decent snowfalls next week but think it will warm up quickly again soon after. If I could square it with the boss i'd be back out next Saturday. Conditions at the minute are good on piste not getting too slushy except the bottom runs into hochgurgl. @snowheads68, classic GFS bias to the east. But even still quite a stark difference at just 6-7 days out. ECM picked up the anomalies 10 days out, and is still sticking to its guns, just. UKMO never really interested in anything dramatic. So I guess we'll see a little snow along N and E flanks, as the odds favour a halfway house, with flabby low pressure. Snow now showing back in the forecast for Tues-Thursday over France. It’s been coming and going like a yo-yo. Hoping the forecast is finally settling down and there will be snow ⛄️ next week!! Followed by sun the following week? I have a feeling that might be too much to ask..
@Stinkpickle, GFS has indeed backtracked the low about 1000miles to the west. Almost the entire ensemble group wrong footed, as the model approaches retirement soon. Looks like the low pressure could hang around for more than a few days so maybe end up with widespread snowfall. Given the below (for Val Thorens) has been showing flat as a pancake of late - I am hoping this possible longer period of more disruptive weather pans out - as going on the EOSB hoping this tops up the snow somewhat. @Drew Carey, yikes! That’s a lot of potential snow. Personally I’m not hoping for it to pan out - a nice top up next week would be welcome but hoping for blue skies after that. Our family skiing trip at Easter is all about sunshine not whiteouts!! Agreed - that to me just looks like extended showers. But at least that is better than nothing. Should hopefully result in a few more generous falls of snow amongst a generally unsettled period. Some parts of the southern French Alps have not seen snow for a month. And in an hour or so (just letting it warm up some more) we're out on the road bikes, cycling up Nevache. Yesterday was in Italy and so many cyclists out, all in shorts, and then next week return to winter. *ironically Skiers Lodge closes this weekend! 302 cm? What am I missing here? Outrageous rainfall lower down? Still great spring snow and old settled powder to be found around Innsbruck, especially on shaded north faces. 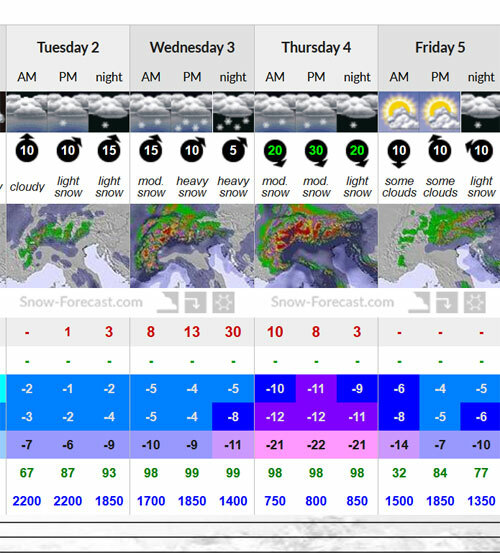 Bunch more snow forecast around the 4th April too. Looking like the 3V may get some snow this week? wondering about a cheeky late last min trip that's all. Yup, looks like a top up hitting Wednesday into Thursday this week. The below is for Val Thorens. To give an indication of amounts - possibly around 50cms at peaks, 25-30cms at resort level. Obviously may be far less, or far more - no-one knows.